Ownership Verification For WordPress Using Meta Values - Blogger I.Q. I recently moved to WordPress from Blogger for my tech blog www.thekeyponderer.com. Now, that I've my website, I started being more serious about SEO stuff because I feel that the content I see as useful must reach the intended audience in need. Having used WordPress for quite a while now, I wanted to play around with the available plugins for WordPress. That's when I came across WordPress SEO by Yoast. There was a moment when I felt struck about using the search engine verification and this is when I thought I will explore this thing and also write about it in my blog. There are various ways to verify a website. However, I am going to cover the part that uses the <meta> tag values to verify a website and this we are going to do it today using WordPress SEO plugin by Yoast. So how does one verify the website for adding the Meta values inside this SEO plugin for WordPress. Note: I am going to cover only Bing and Google ownership verification here. For other site verifications, similar steps might apply, but am not going to cover that here. 1. First install the WordPress SEO plugin. 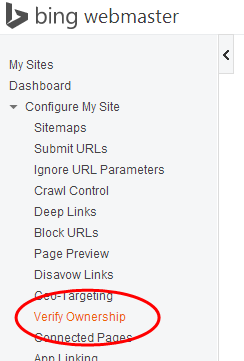 Once installed, under the SEO General settings go to the Dashboard screen and to the section that says 'Webmaster Tools'. Obviously, am talking about how to do the 'option 2' above, so am going to ignore the other two options. 4. Copy the Meta tag value given under the second option. 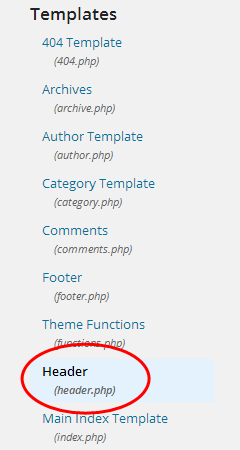 Go to WordPress > Themes > Editor and click on 'Header.php' to add the Meta value to your website's header file. Once, header.php opens up, add your Meta code under <head> tag. Hit on Update File. Now go back to Bing and hit on 'Verify'. That's it. Your website is now verified with Bing and you can use all the goodies that come with Bing Webmaster Tools. If you want to know how to do the exact thing written above for Google Webmaster Tools, please continue reading. 1. Head on to Google Webmaster tools and sign in http://www.Google.com/webmasters/. 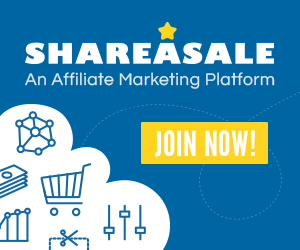 Add your website here and click on the domain name. 2. Now click the settings gear icon on top right side of the screen and click on verification details. 3. 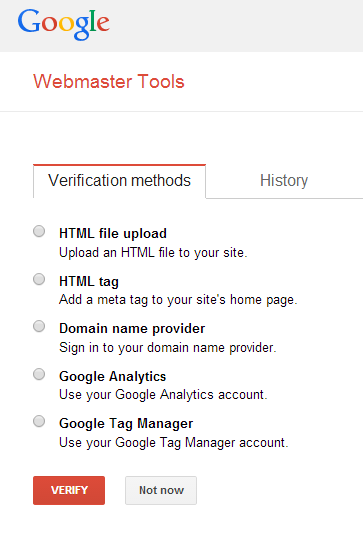 In the Verifications methods screen, select HTML tag and your Meta value details will be shown. Copy this Meta value. We will paste this in the WordPress header.php file in the next step. 4. Go to WordPress > Themes > Editor and click on 'Header.php' to add the Meta value to your website's header file. Once, header.php opens up, add your Meta code under <head> tag. Hit on Update File. 5. Now go back to Google Webmaster tools and hit on 'Verify. That's it. 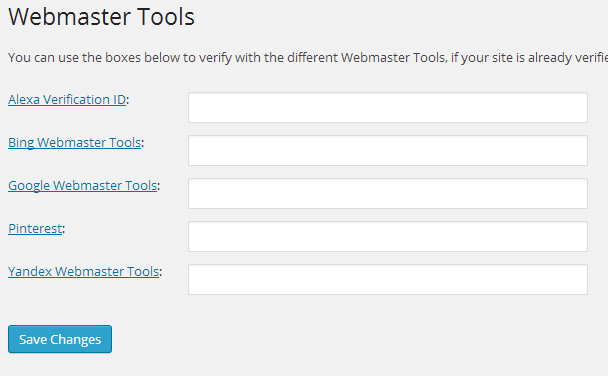 Your website is now verified with Google and you can use all the goodies that come with Google Webmaster Tools. lograr ciertas cosas en este país.